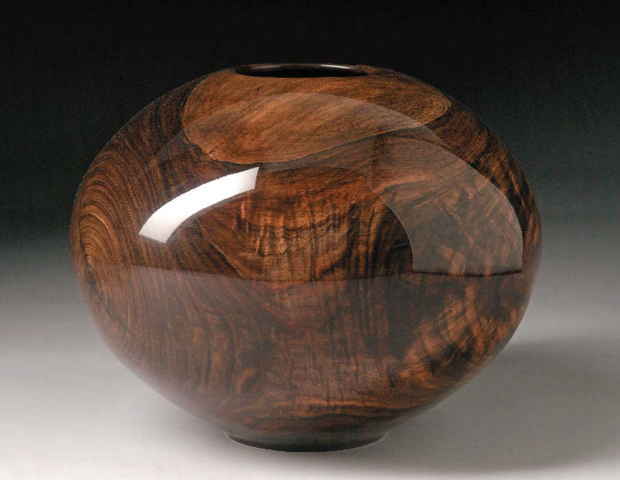 Matt Moulthrop Black Walnut Sphere, 2006. I thought we’d look into the life of the Moulthrop family today as I watched this wonderful documentary last night run by PBS titled Craft in America which was deeply inspiring. The Craft in America series has been running for quite a while, but as a European citizen we don’t really hear too much about these sorts of shows, but luckily for us we’re able to watch them all on the PBS website. To pinpoint the exact segment that I’m on about I decided to embed a video from youtube which is part of the main documentary and highlights the Moulthrops work as a family. This isn’t the first time I’ve come across them and I previously highlighted a few pieces in a post about a shop titled Frank Landau. 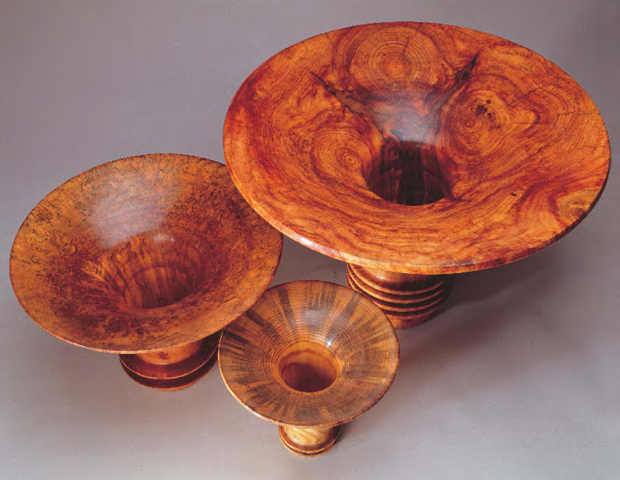 What originally peaked my interest was the fact that Ed Moulthrop is known as the “father of woodturning” and has a lot of history behind him, he was actually a self-taught woodturner who began carving and experimenting with wood at the age of 15. As a trained architect he was always artistically inclined and since he liked to make sculptures out of wood he turned his hand at making some functional wares which had a unique architectural element. Originally he was only making small cups and plates but as he developed his skills and made his own tools he had the urge to go bigger and better. To push the limitations of woodturning. This included some fantastic globe shapes that you can see pictured in this post today, it’s mind boggling to think you can turn a wooden log into a form like this, it doesn’t seem possible. As you can imagine this inspired his son, Philip Moulthrop, to take up woodturning, now Philip’s son Matt also plays a role in the family tradition and is the third generation of Moulthrops to carry on the craft. So I’d first reccomend you watch the video placed below to give you a quick insight into the family and their work, then move onto the full documentary if you like or over to the Moulthrop website where there is plenty of information. I could spend most of my morning just searching through all the different images and clips but for now I’ll leave you to have a gander for yourself. Have fun. Ed Moulthrop Morning Glory Bowls, 1990. 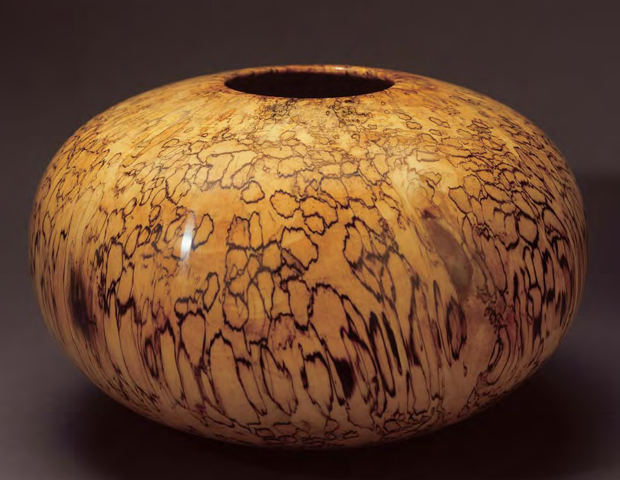 Ed Moulthrop Spotted Silver Maple Ellipsoid Bowl, 1990. 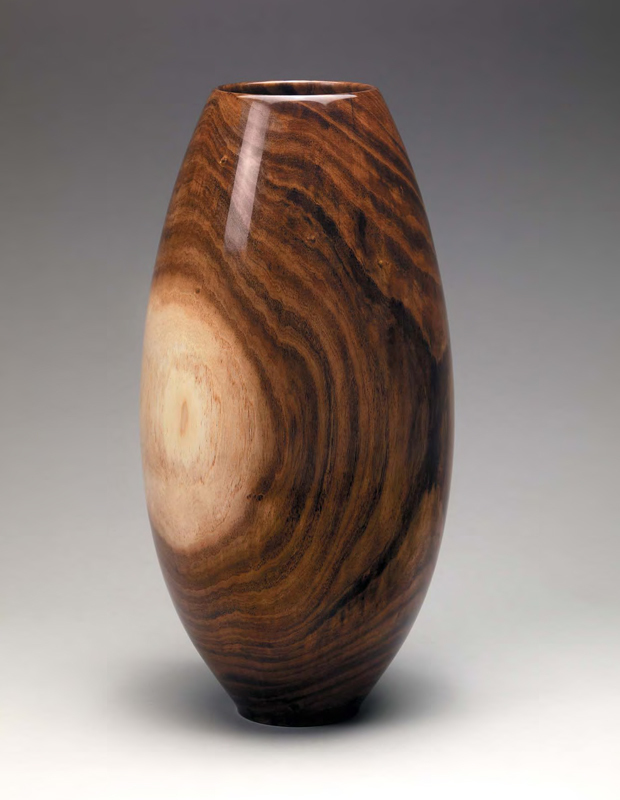 Philip Moulthrop Spalted Silver Maple Vase form, 2005. 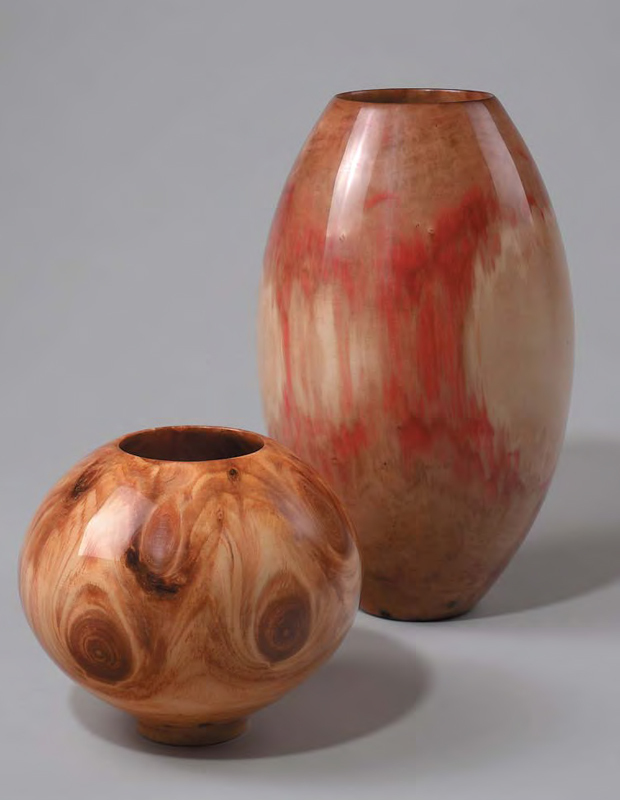 Philip Moulthrop White Pine Node Bowl and Ashleaf Maple Vase, 2002. 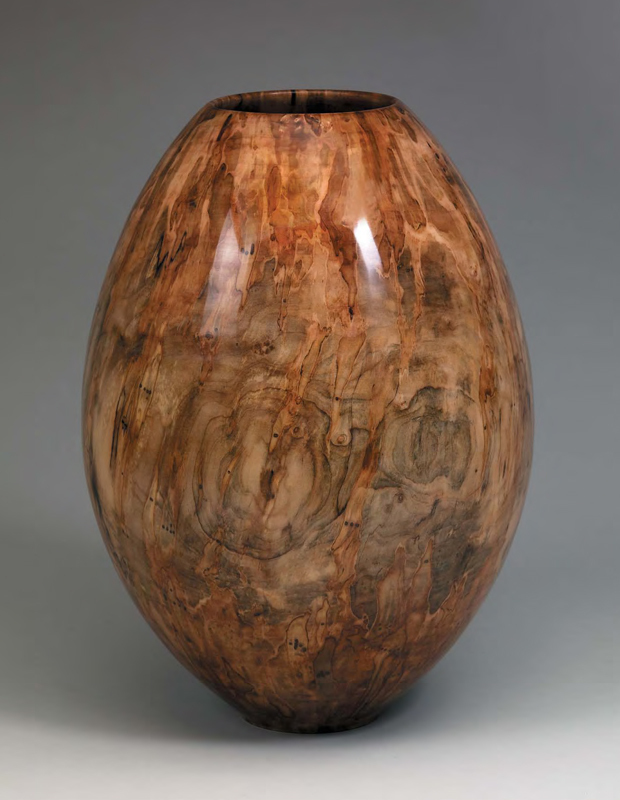 Philip Moulthrop Mimosa Vase, 2005.